In the selection of the UK Garden Designers Association (SGD) awarded for an excellent garden design, "Earth Garden (Earth Garden)" "Meadow Garden (Wild Flower Garden)" designed by Mr. Dan Pearson is Japan In the first Grand Prize winning Grand Award, the judges gave acclaim that "The most beautiful garden" "Best example of 21 century garden design". 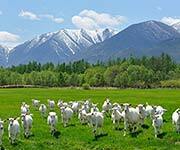 In the pasture rang at the foot of the grand Hidaka Range, you can see the idyllic landscape where goats and sheep loose grass, and in the garden "Goat · Farm" you can touch goats and sheep through a feeding experience. 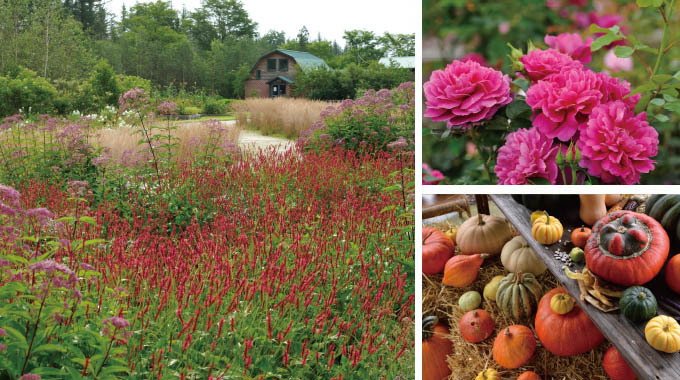 20186-2(soil) Announcement of "Tokachi Millennium Forest Garden Academy" Naturalistic Garden Movement "